It has been years since people are using internet extensively for research or discussion but still people are unaware of incomparable information available on Usenet. You might be surprised but Usenet was created back in 1979 by three students that was the same time when Microsoft came up with MS-DOS. At that time it was shared among colleges and students but now it has expanded its reach to anyone who is willing to share or connect. Usenet, in simple words, is the best place for any research project. It contains global collection of servers and discussion boards and share millions of file. It is more like an unregulated internet with lesser ads, giving you a serene place for your research project. One can access the content or post on the forums on choice and if people like each other’s post they can save the information as well. You have freedom of information as commercial entities play no role in highlighting their post and you get straightforward information on your subject. 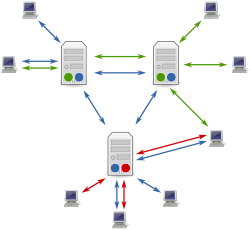 In order to access Usenet you must have software to connect to it or a server that supports Usenet. To get the maximum out of Usenet, the best newsreader available is Usenet.nl. It connects you to discussions on any topic be it entertainment or academics. You can easily download a file by a single click and it provides you even with a preview option before downloading tons of data. Further it has a rating feature for each file, so if you are uncertain about a particular file you can check what other people think about it. If accidentally a broken link is clicked by you, then the auto repair feature takes care of it. Usenet.nl is a source to access vast information available on Usenet. With the newsreader, Usenet.nl, searching for a particular archive among millions of files becomes an easy task. The topic of your interest will sure be there among over 60,000 newsgroups available. You can share information or enter into a discussion with a pass out student of your dream college; you can do it simultaneously due to 16 concurrent connections. Searching your archive is as easy as searching on the internet, by entering the criteria or browsing through the files. The graphic icons easy to read which saves time to go through text links and are easy to locate. In addition to it you can create a list of your favorites and organize newsgroups. Usenet is expanding a really fast rate; it increases 5 terabytes every day. Usenet is expanding because of its contributors, every user is a contributor with the amount of information they share and Usenet holds. You should not miss fun of abundant information available on Usenet, just sign up for Usenet.nl and become a part of this expanding ocean of information. The sign up is free, so why miss the fun if it is a click afar. Everyday 5 terabytes of data added. Complete security with no censorship and no IP address monitoring. Usenet.nl holds the binaries for up to 650 days and an exceptionally good support. They always answer your queries on time and in a very friendly manner. Usenet is ranked second in when compared to its market companions. Usenet can be registered in a trial basis via Usenet.nl website. After registration you can use it for 14 days and load up to 300 GB of data for free. You can familiarize yourself with Usenet and can even cancel the agreement any time during trial period via the Usenet.nl website.